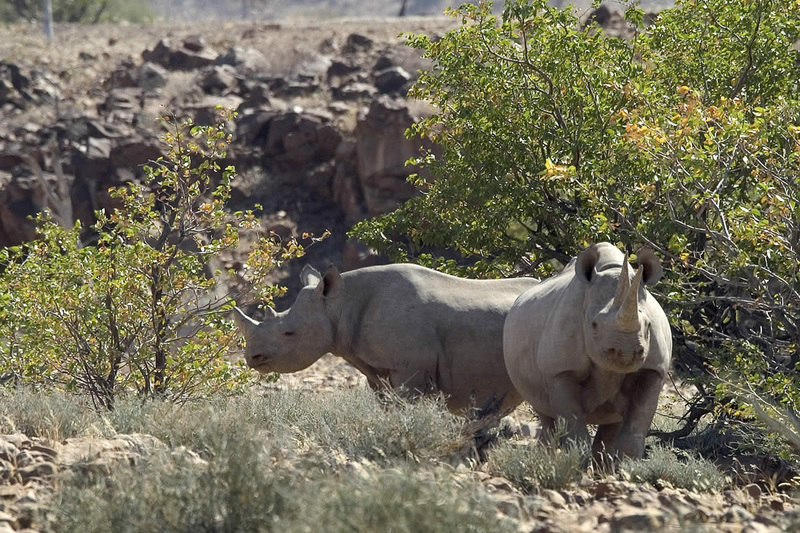 Probably your best bet for truly wild rhinos, Namibia’s Desert Rhino Camp in Damaraland—partnered by Save the Rhino—is where you can track rhino on-foot in the company of trackers, themselves reformed poachers. 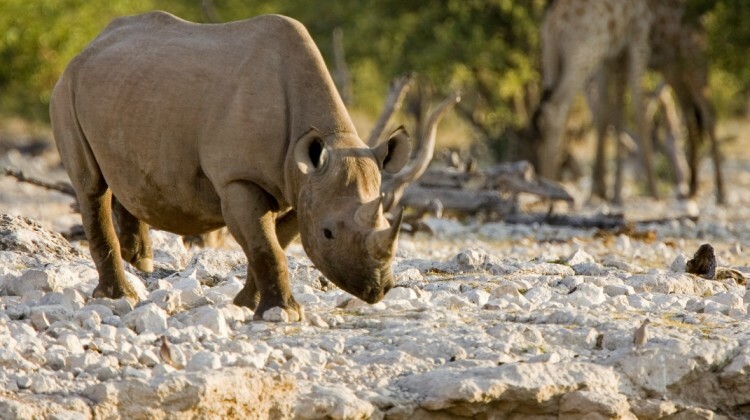 Okaukuejo in Etosha is also famous for evening rhino sightings at its floodlit waterhole. The Ngorongoro Crater is a wildlife mecca and home to the Masai people who graze their cattle here. Game drives traverse the crater floor where you can spot black and white rhino and the rest of the ‘Big 5’, including lion, elephant, buffalo, and leopard. 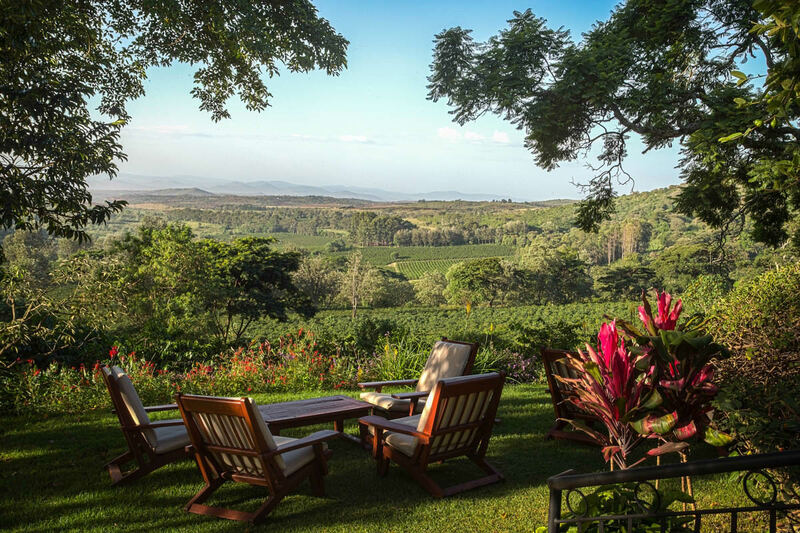 Accommodation-wise, immerse yourself in the colonial charm of Gibb’s Farm which enjoys direct access to the forested Ngorongoro Conservation Area, or wake up to spectacular views from the opulent Ngorongoro Crater Lodge (one of the best, most unusual in Africa) which is perched on the very edge of the crater itself. Lewa Reserve is not only mesmerisingly beautiful with its stunning backdrop of Mount Kenya but also one of the world’s most important wildlife areas as the original colonial owners set aside a section of their farm specifically to protect black and white rhino from poachers. Great camps to stay at here are Lewa House where you can accompany anti-poaching patrols with tracker dogs, and shaded Sirikoi with its busy waterhole. 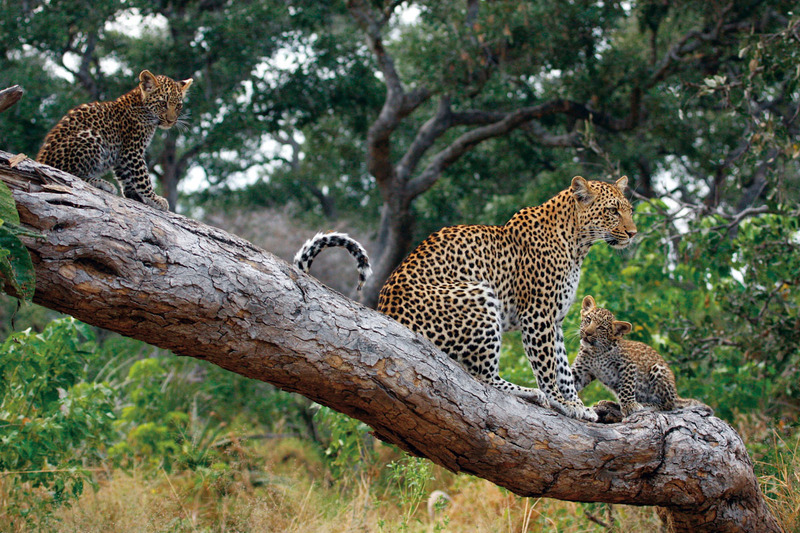 The Laikipia region has become one of East Africa’s leading wildlife havens. In the shadow of Mount Kenya, the 90,000-acre Ol Pejeta Conservancy, set up by colonial landowners and indigenous people, is particularly well known for having Kenya’s largest concentration of black rhino—110 of them at last count. Since late 2009, it has also been home to four of the seven remaining northern white rhinos in the world. 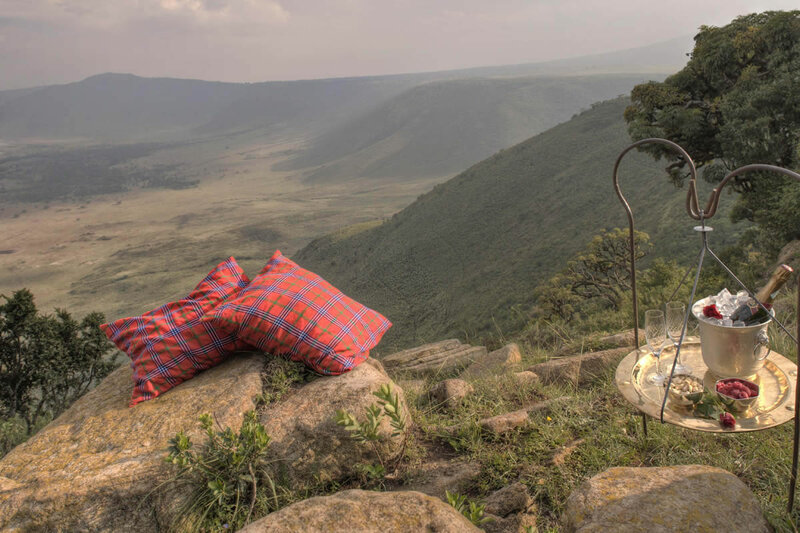 Kicheche Laikipia Camp is a particular favourite of ours here with its incredible views across an ever-busy waterhole. The Sheldrick Wildlife Trust in Nairobi, Kenya is famous for its orphan elephants but it also takes in rhino to rehabilitate and release. Meru, setting of Joy Adamson’s ‘Born Free’, was once poached to near extinction but has since staged a remarkable comeback. Subsequently overlooked by many travellers, this diminutive park is a great place to see rhino in relative solitude. 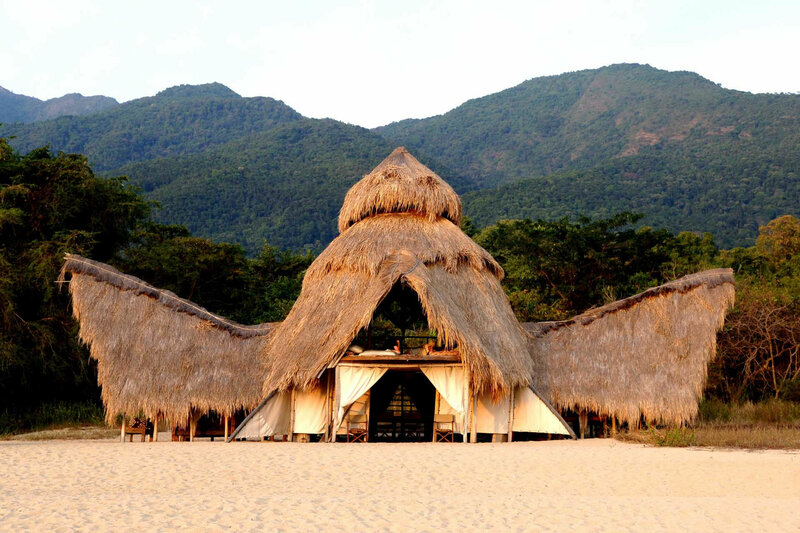 Set on the border of Meru National Park, Offbeat Meru Camp is off the beaten track and ideal rhino habitat. 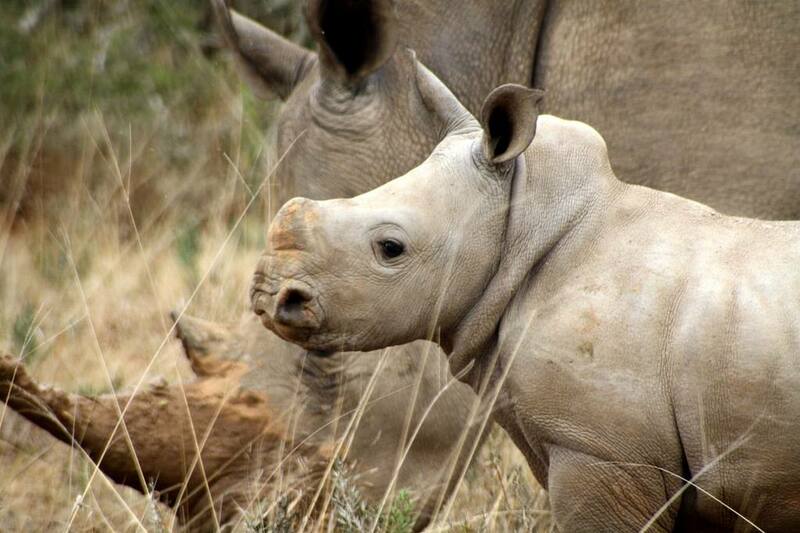 South Africa has some seriously cool rhino adventures from tracking rhino on foot at Tswalu to joining a hands-on conservation safari at Kwandwe Private Game Reserve where you and your family can work directly with these endangered animals in the company of specialist rangers. You can also spot world-class wildlife, and leave a lasting legacy with 100% of proceeds going towards rhino conservation. Kruger National Park supports a healthy population of black and white rhino, but a recent rise in poaching means they are still very much under threat. By staying in Kruger conservancies like Timbavati and Sabi Sands you can support their continued conservation. Malaria-free Madikwe is one of South Africa’s largest reserves and it owes its jam-packed plains to a very successful anti-poaching programme. This list is by no means exhaustive—you can spot rhino in Zimbabwe at Matusadona National Park staying at Musango and Changa safari camps, and Hwange National Park is packed to the rafters with camps, among which are our absolute favourites: Makalolo, Somalisa and Camp Hwange. 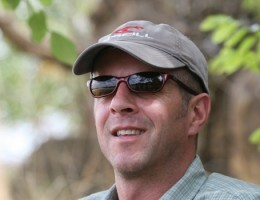 Want More Info On Rhino Safaris? If you’ve got this far and not found an answer to a question you have on rhino and where to see them, please ask in the comments section below, or pop us an email. If you’d like to see a detailed itinerary to see rhino any of the places mentioned, simply send us an email or give us a call. It doesn’t matter what stage of planning you are at; we’re always happy to chat and give guidance. We are debating on a rhino adventure on our trip to Victoria Falls. There is one offered in Zimbabwe and also Zambia. I believe white Rhino in Zambia and Black in Zimbabwe. Can’t afford to do both. Which do you suggest? Differences? Many thanks for your message on our blog regarding seeing rhino in Zambia or Zimbabwe. You can certainly take a day trip to Mosi oa Tunya National Park in Zambia and if you are only visiting the Falls area then I would recommend this as being the option where you are most likely to see rhino. These are white rhino. In Zimbabwe the rhino are found in Hwange National Park or Matopas National Park primarily. In Hwange, which would be a long day trip from the Victoria Falls, they do have them here but they are not regularly seen. The Matopas are too far to be able to do on a day trip from the Falls themselves. 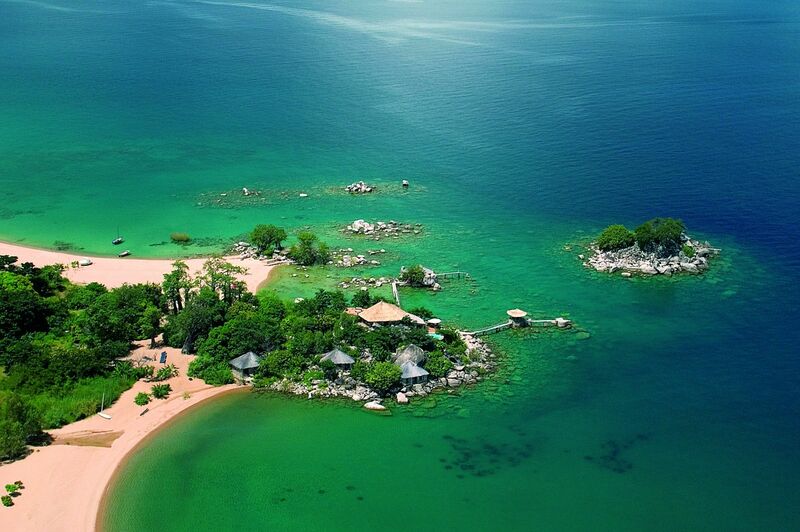 Please do let me know if you would like any assistance planning your holiday to this wonderful part of Africa.